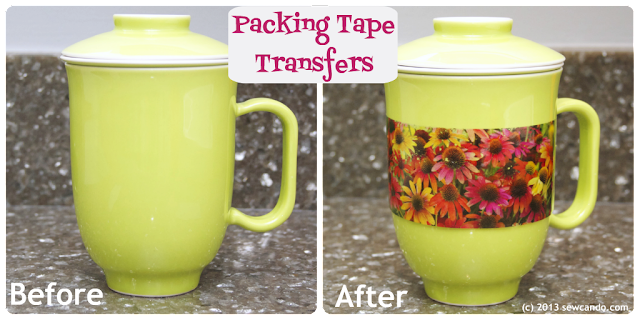 Sew Can Do: January's Pinterest Challenge & Packing Tape Transfers! 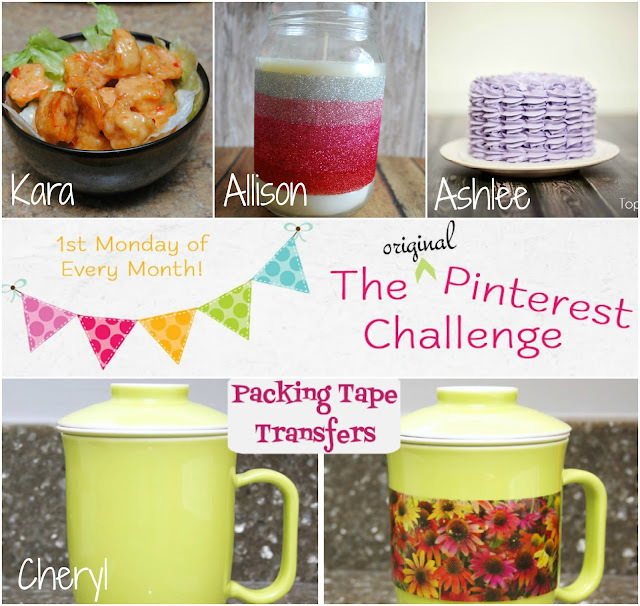 January's Pinterest Challenge & Packing Tape Transfers! 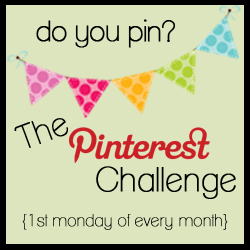 It's the first Monday (well, Tuesday over here) of the month, so, it's time to show off your latest Pinterest inspired creation with us!! 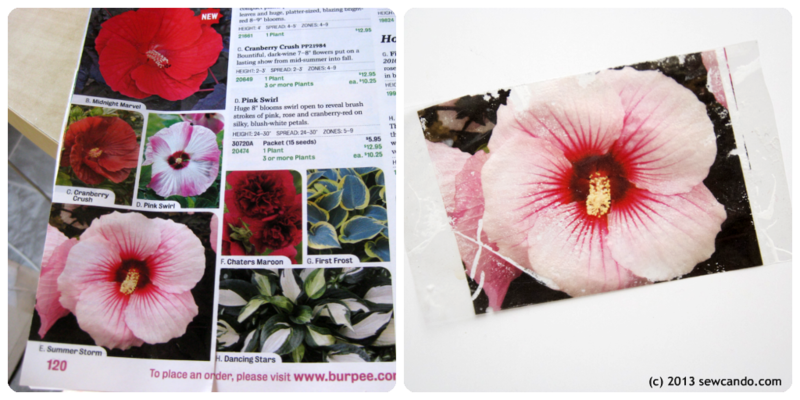 I tried out a how-to for packing tape transfers from This Bountiful Backyard (who had originally found the idea, via Pinterest, from Little Blue Boo). The concept is neat - using some images from a magazine or photo and packing tape, you can make your own transfers. 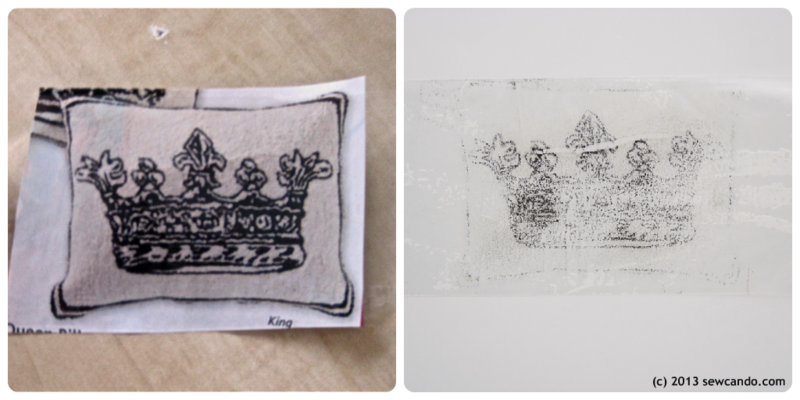 You just stick the tape over the image, stick it in some water for a minute or less, rub the paper away and the image is supposed to remain on the tape. Cool, right? 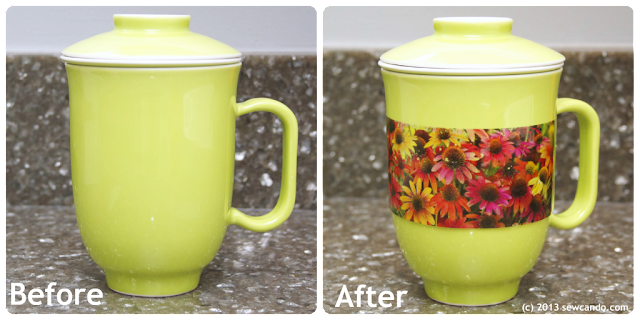 All in all, a fun project I'd do again, but definitely glad I gave it a whirl to get the hang of it before planning it on something specific. Ready to share any Pinterest-inspired projects you've worked on recently?